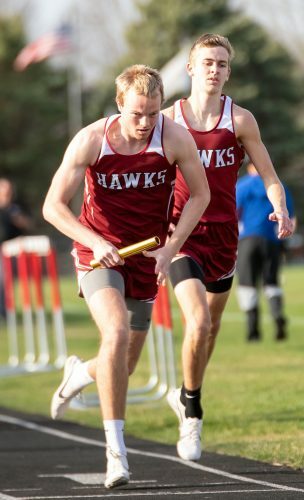 HUMBOLDT – It was the race the Webster City boys’ cross country team wanted to run, and in the end that was enough to satisfy the crew and head coach Tony Bussan. Gold and silver just weren’t meant to be. 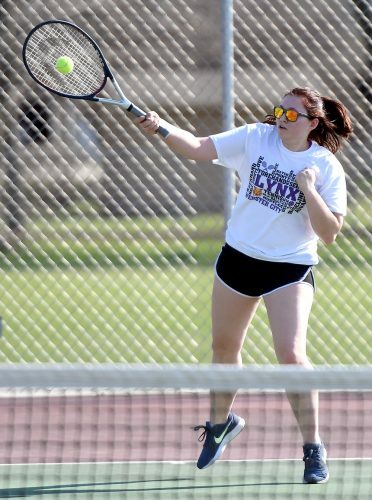 Tactically strong from the starter’s pistol to the finish line, the Lynx met their own expectations Tuesday evening during the North Central Conference meet at Sheldon Park. Seven strong, WCHS ran together and challenged the front of the field early on its way to a third-place finish with 70 points. There was no stopping seventh-ranked (Class 3A) Algona, which accumulated just 33 points to claim its third straight league crown and sixth in the past eight years. 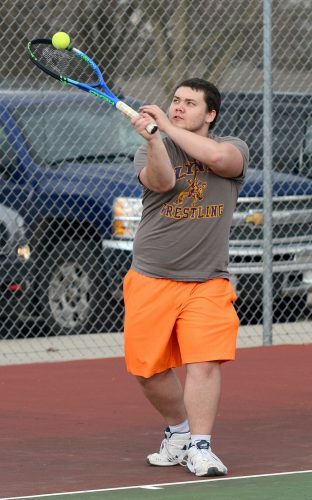 The Bulldogs pulled off the three-peat without the services of Bo Hjelle, who would have been considered the front runner had he competed. 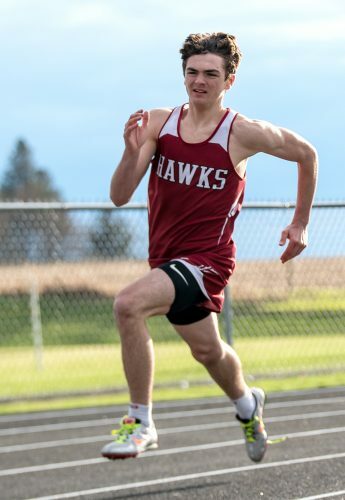 Hjelle’s loss was teammate Loren Shellabarger’s gain, as he won his first-ever varsity race in 17:27.57, roughly 10 seconds ahead of fellow Bulldog and runner-up Peter Hollinger (17:37.63). No. 6-ranked (1A) St. Edmond took runner-up honors with 59 points. Jacob Hamilton (17:46.87) paced the Gaels with a bronze-medal run. Webster City’s seven members were separated by just 40 seconds and its top five kept the gap to 18 seconds. Cole Zahn separated himself from the pack over the final 1,000 meters and completed the 5K course in 18:43.98 to place 11th, just one spot shy of earning an all-conference medal. Seth Crouthamel (18:59.05) and Connor Foster (18:59.25) also dipped below 19 minutes on the wooded course; they were 13th and 14th, respectively. Right on their heels in 15th was Tyler Bultena (19:01.30) and Trey Nelson (19:05.49) completed the scoring five with a 17th-place showing. Demar Lemus (22nd, 19:14.81) and Jacob Perin (24th, 19:23.00) were also top-25 finishers. Perin, a senior, took the lead for the Lynx early in the race and set the pace that his teammates followed. In the junior varsity race, Jason McVicker (fourth, 19:34), Esler Mejia (fifth, 19:50) and Aaron Halbach (sixth, 19:52) were all top-10 place winners. Up next for WCHS is the 3A State Qualifying Meet at Perry next Thursday. The meet will begin at 4 p.m.